When a New York company called Tower Insurance couldn't pay its bills, a bigger insurance company bought them out. But as Chris Glorioso reports, one accident victim is fuming because her claim is being refused, and New York and New Jersey are shelling out millions to fill the gap. Talk about a failed bailout. A lawsuit against New York's AmTrust insurance company claims owners of the multi-billion dollar business walked away from their pledge to rescue Tower Insurance when Tower could no longer pay its bills. Back in 2014, AmTrust CEO Barry Zyskind said his family of companies would merge with Tower and pay $200 million to "stabilize" the troubled insurance firm. But three days after the New York Department of Financial Services approved the acquisition, Tower's profitable books of commercial and personal liability policies were transferred to other AmTrust affiliates. Meanwhile, thousands of active insurance claims against Tower were dumped in a separate company called CastlePoint, which went into a form of bankruptcy in 2016. Edelstein represents Eita Pruss, a car accident victim who was run over in 2014 by a vehicle that was insured by Tower and several other insurance companies. In August 2016, Pruss agreed to a $9 million settlement whereby Tower would pay $5 million. Though the settlement appeared final, with a state Supreme Court judge having signed off, AmTrust declined to honor the payment because of Tower’s insolvency. As a result of Tower’s failure, state insurance guaranty funds across the country are having to pay on claims that would have otherwise been handled in the private sector. 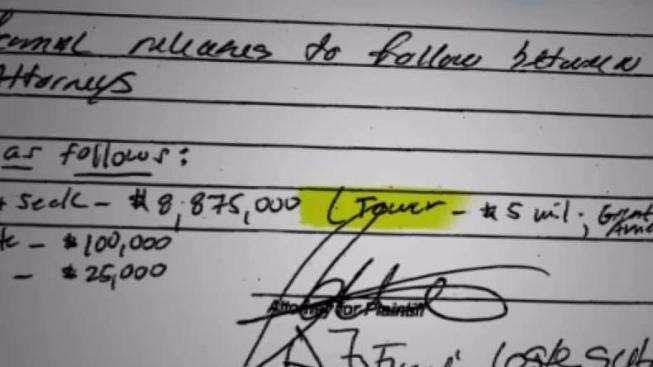 The I-Team examined court records and found New York state insurance guaranty funds have already obligated almost $10 million for claimants against Tower. New Jersey’s guaranty funds have already obligated almost $9 million. InvestigativeShould the MTA Tell You If Ads Are Airbrushed? Richard Loconte, a spokesman for the New York Department of Financial Services, sent the I-Team a statement arguing insurance regulators did the best they could with the information they had when they oversaw AmTrust's acquisition of Tower. Under New York law, when a private insurance company goes bankrupt, a claimant can obtain a maximum of $1 million from the state guarantee fund. Pruss received the maximum payout, but that still leaves her $4 million short. She says AmTrust should honor the balance of her claim. “You cannot trust AmTrust anymore,” said Pruss. Hunter Hoffman, a spokesman for AmTrust, suggested Pruss should seek the rest of her settlement from the owner of the car that hit her. “Our sympathies go out to Ms. Pruss,” Hoffman said in an email to the I-Team, but he declined to specifically address her lawsuit, citing the pending nature of the litigation. Last week, AmTrust shareholders voted to convert the insurance giant from a publicly traded company to a private company. That decision comes just a month after AmTrust announced it has been under federal investigation by the Securities and Exchange Commission for the past five years. AmTrust has not said whether that federal probe involves the acquisition of Tower.